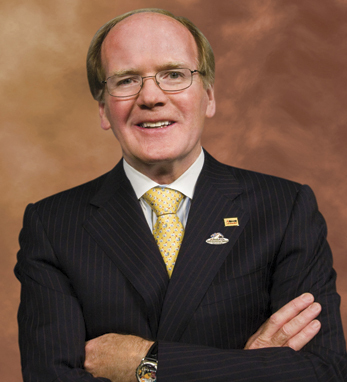 Dr. T. Pearse Lyons is the founder and president of Alltech, a global animal health company that employs more than 2,800 people and conducts business in 128 countries. Founded in 1980, the company has grown to annual sales of $700 million. Pearse received his bachelor’s degree from University College Dublin and obtained his master’s and doctoral degrees at the University of Birmingham, England. He worked as a biochemist for Irish Distillers before founding Alltech. Since then, he has authored more than 20 books and numerous research papers in scientific journals.